I get it, up to a point. Ipswich are sixth in the Sky Bet Championship but they are probably not one of the six best teams in the division. 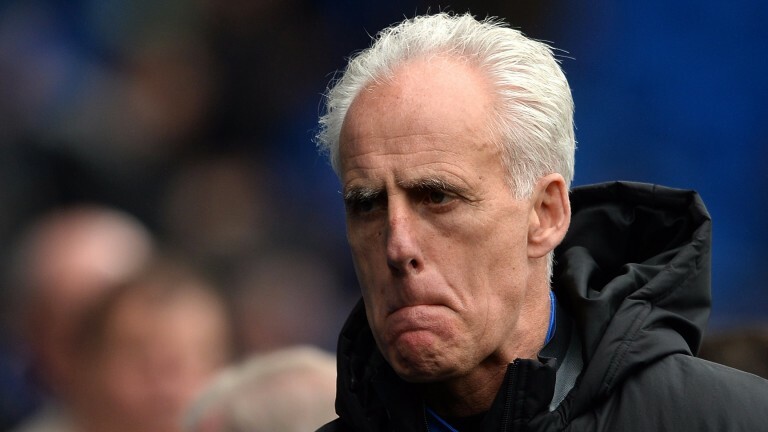 Even manager Mick McCarthy is surprised they have 18 points from nine games. Ipswich got those points in an unusual way. They have scored 59 per cent of the goals in their games despite taking only 39 per cent of the shots. That strengthens the suspicion they may not finish the season in a playoff place. But are they the less likely winners at home to Bristol City? I do not think so. City are another side who have started the season better than many people expected, though by a smaller margin. They are unbeaten in eight matches and have lost only once in ten. But that still leaves them a point below Ipswich. Back Ipswich at decimal odds of 2.33 off a handicap of 0 with 188Bet. It is what many other bookmakers would call an Asian handicap. Decimal odds of 2.33 are equivalent to slightly better than fractional odds of 13-10. If Ipswich win the bet wins, if they draw all stakes will be refunded and if they lose the bet loses. McCarthy has said: “I don’t think we’re one of the best teams in the league and we’re going to have to be tough and belligerent and organised – and all those horrible things people don’t particularly like – but we have got a bit of something.” It might be enough. When a team have shot stats that are completely different from their goal stats it usually means they are not as good as their results imply. Usually, though, it also means they are still better than their shot stats imply. The truth, as in many other things, tends to be somewhere in between. Let’s be cautious and assume Ipswich are no better now than they seemed to be at the end of last season, when they finished 16th. Last season was a bad one for them. And let’s be cautious in our assessment of City, too, assuming they could finish above Ipswich, though probably not quite as high in the table as they are now. Ten seasons ago City reached the playoff final when they were managed by Lee Johnson’s father Gary. They followed up with two more top-half finishes. They are a big enough club to compete at least at those levels. But put all those details together and it still seems debatable whether the conclusion we should draw is that Ipswich are less likely to win the match than Bristol City. Chelsea v Manchester City. It is one of those games you do not want to miss. Already in the Premier League Chelsea have played Tottenham and Arsenal, who have also played Liverpool, who have also played Manchester City. After the international break Manchester United will join in. Games between top teams are the most interesting to watch, and they are dissected in the greatest detail afterwards. But they have less impact on the title than the games the best teams play against the rest. Imagine three tables – the proper table, a table for the points top teams get in games against each other, and a table for the points top teams get in games against everyone else. There is no correlation between positions in the second and third tables. How well teams do in big games tells you nothing about how well they do in ordinary games. There is a correlation between how well teams do in big games and their position in the proper table. But it is not as strong as the correlation between how well the best teams do against the rest and their position in the proper table. The reason is simple: good teams play a lot more games against middling and bad opponents than they do against each other. Every game offers the same rewards. You get three points for a win or one point for a draw no matter who you are playing. Ideally a team would want to do well against all opponents, but for elite sides it is most important to do well against non-elite opponents.